Our Eco-friendly stainless steel insulated drinking tumblers with lids are a much better alternative to plastic cups. These stemless double-wall tumblers keep drinks cold or hot for hours and are dishwasher-safe. 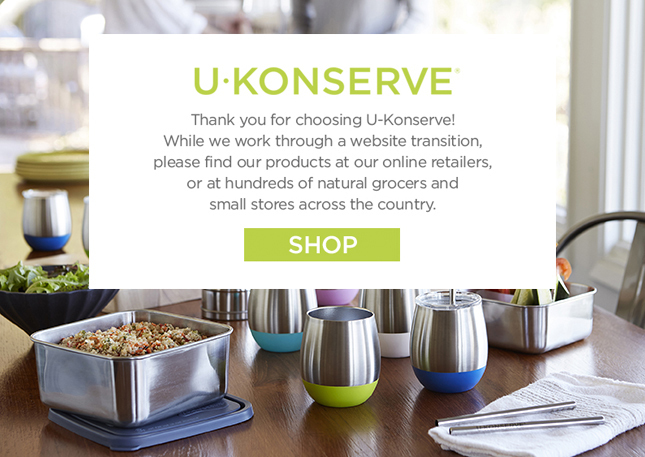 U-Konserve insulated tumblers fit inside our lunch totes with room to spare for a gel ice pack, a food jar or divided food storage container and a bamboo eating utensil.